This well-seasoned casserole is a big family favorite. 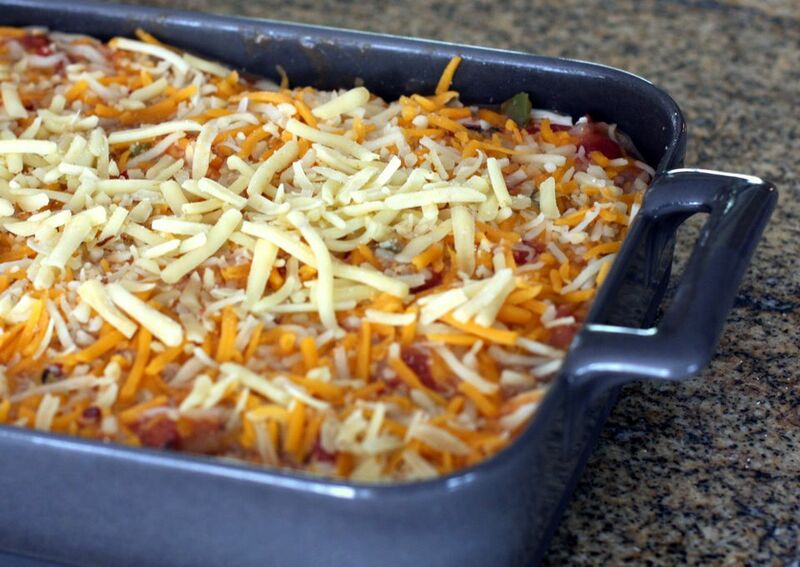 Use Cheddar cheese or a Mexican cheese blend in this great-tasting chicken casserole. You can put this king ranch casserole together earlier in the day, then cover and refrigerate until you're ready to bake. Serve with a tossed salad for an easy and fabulous family meal. Heat the oven to 350 F. Grease a 13- x 9-inch baking dish or spray it with nonstick cooking spray. In a large skillet, heat the vegetable oil over medium heat. Sauté the chopped onion and bell pepper until softened. Add the minced garlic and sauté for 1 minute longer. Add the cream of mushroom and cream of chicken soups, tomatoes with green chiles, oregano, cumin, chili powder, and the black pepper. Bring the mixture to a boil. Reduce heat to low and simmer, stirring, for 5 to 6 minutes. Arrange about one-third of the tortilla strips in the baking dish. Top with about one-third of the chicken and about one-third (about 2 cups) of the sauce mixture. Sprinkle 1 cup of the cheese over the sauce layer. Repeat layers of the tortillas, chicken, cheese, and sauce two more times, ending with the cheese. Bake for 45 to 55 minutes, until hot and bubbly.